Metal roofs have been around for ages. But as metal technology improves, these roofs get stronger, look better, and last longer. The result is that when you upgrade to a metal roof, you get a roof that can withstand hail storms, and it will likely last longer than you do. How much stronger is metal than asphalt? Most metal roofs are made with 24 gauge steel; thick enough to withstand a class 4 hail storm (that’s a storm that produces hail up to two inches in diameter). That storm would shred an asphalt roof, but a metal roof will come out just as strong as before the storm started. But the strength of a metal roof isn’t the only perk that you will get when you upgrade rather than restore. You get the peace of mind that your home is going to weather just about any storm Mother Nature brings along. You get a roof that looks better than asphalt, provides superior fire protection, sheds snow, ice, and water better is environmentally friendly, and ultimately costs less than an asphalt roof. In areas that suffer from a number of hail storms, homeowner’s are finding that they are being forced to upgrade to better products. Either that, or they have to tempt fate and forego homeowner’s insurance. Because these companies are paying out millions of dollars every year to the same areas, they are finding that insuring these homes is not worth their time. The result is that people who live in high risk areas are being dropped from coverage until they upgrade to better products. This includes getting rid of the vinyl siding, opting for a hail resistant roof, and still filing fewer claims. Don’t wait until your insurance company is ready to drop your coverage, upgrade to an impact resistant metal roof. Metal comes in a variety of styles and colors. You are no longer stuck with the ugly plain metal “tin” roof. 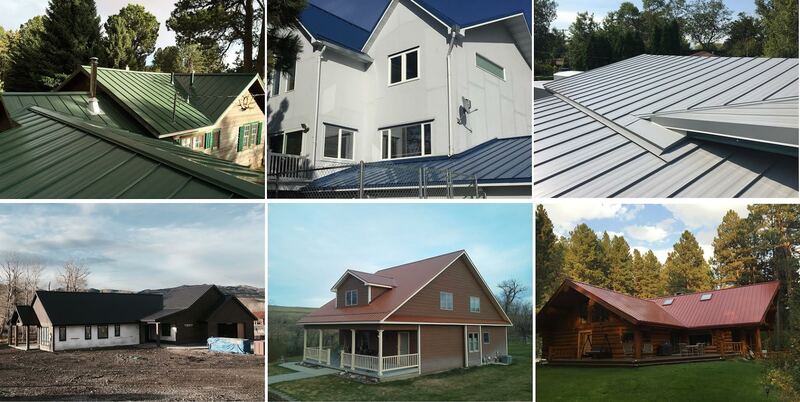 Instead, you can choose a variety of standing seam textures, or metal shingles. You can choose just about any color you want (although you might be hard pressed to find a neon pink metal), that contrasts nicely with the rest of your home. Don’t just restore your home after hail damage, improve it, so you never have to touch it again.